Home » Fitness » 5 Awesome Olympic Weightlifter Physiques! So, the Rio Olympics has recently come and gone! Not sure about you, but watching the weightlifters perform at this elite level must be an inspiration to anyone who loves lifting weights! Although the performances were phenomenal, it was also fantastic to see the level of physique development displayed. 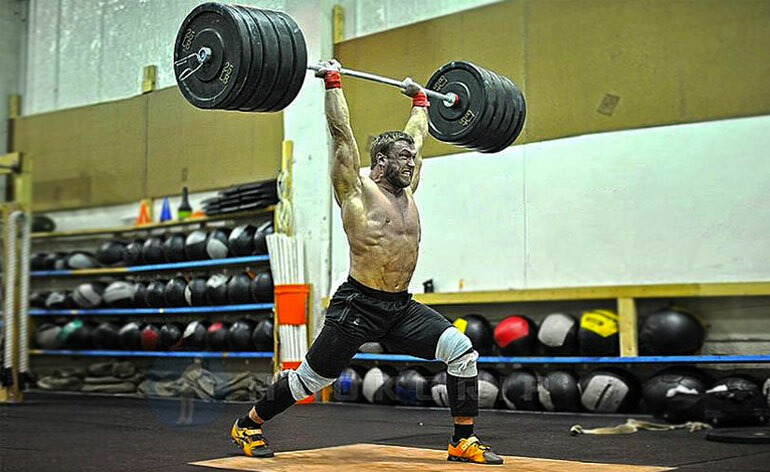 If you’re into the heavy metal and love pounding your physique into shape you’ll want to check out these heavies from the past and present, read on for 5 Awesome Olympic Weightlifter Physiques! This strongman has remained highly influential amongst present day lifters. He competed as a weightlifter in the 1936 Olympics and he won several bodybuilding titles such as Mr. America and Mr. Universe later in his career. Some of the measurements of his muscular frame (at 195lbs/88.5kg bodyweight) were a 47-inch chest, 17.5 inch arms and 14 inch forearms. Grimek placed lots of focus on squats to build his strength and physique. Another Olympic gold medallist on this list, winning the medal in the 1976 Olympics. Although he wasn`t a bodybuilder, the Russian weightlifter`s physique was well developed. His traps and back development were spectacular! Not surprising for a man who could deadlift 400kg from 15cm blocks and perform power cleans with over 200kg! A silver medallist in the 2008 Olympics, this Russian athlete achieved an awesome 423kg total. Ultra-heavy lifts such as squats and deadlifts in excess of 300kg and push presses with over 200kg have contributed to building his impressive physique. The desirable combination of an aesthetic physique and superhuman strength make it easy to see why he is a hugely influential character to both strength athletes and bodybuilders. If you think weightlifters have underdeveloped pecs, Klokov`s physique will certainly prove you wrong! Bodybuilding exercises are frequently used by Chinese weightlifters and this is one reason why Xiaojun`s body is so well developed. Like Rigert, he has an immensely muscular back that can make bodybuilders jealous! His arms and legs are well muscled and his low body fat makes it easy to see his strong abs. He earned a silver medal in this year`s Olympics. These highly disciplined athletes show us what potential can be achieved by the human body. They possess a dynamic blend of strength, power, skill and the presence of their individual muscular development is just the highly desirable result; a reflection of what they imagined, willed and actually did. And so can you! Top 5 Yoga Poses For Cyclists!